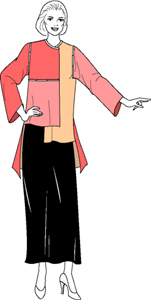 Garment Designer Training Aids will help you reach your full pattern making potential. Learn the software through easy lesson books. 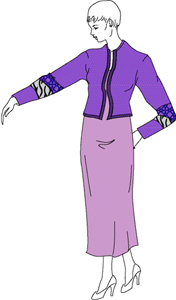 Create mock-ups of garments with Cochenille’s Louise doll. 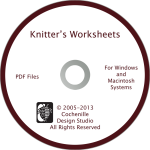 Get organized with our Knitter’s and Sewer’s worksheets. Keep a catalog of inventory with our Knitter’s Yarn Cards. 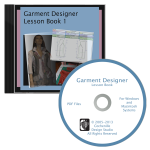 This 100 page book is designed to show Garment Designer users how to get more out of their software. 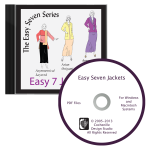 Each jacket is easily designed in the software and can be knit or sewn. 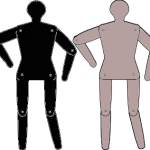 With each project (whether you actually sew or knit it in the end) will teach you a new skill to use with your pattern software or with the building of garments. Knitting tips and illustrated sewing instructions are included in the book as well as generic techniques and tips. Cochenille Knitter’s Worksheets are an excellent way to get organized when developing hand crafted or computer generated patterns. 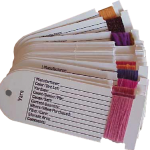 Cochenille Yarn Inventory Cards contain a place for you to record all your information, plus a wound strand sample of the yarn for easy reference. You may store these cards in a binder, or on a large ring. Once purchased, this PDF file will be sent via email. For best results, print on cardstock paper to produce as many as you need.